THE Pharmaceutical Manufacturers’ Association of Zimbabwe (PMAZ) says for the country’s pharmaceutical sector to enhance its capacity and make significant contribution to public health, employment, economic and scientific development and exports, there was need for sufficient and consistent foreign currency allocations. NewsDay (ND) business reporter Mthandazo Nyoni interviewed PMAZ chairperson Emmanuel Mujuru (EM) to speak on the challenges affecting the sector. Find below excerpts from the interview. ND: Early this year, players in the pharmaceutical sector in Zimbabwe were saying the future looked uncertain as the Reserve Bank of Zimbabwe (RBZ) was failing to clear many outstanding invoices for drug imports amounting to over $50 million, backdating to last year. How is the situation like now? EM: The situation has not improved despite the industry being a priority sector in terms of foreign currency allocations. We are still in a precarious situation in so far as availability of foreign currency is concerned, resulting in us not being able to supply both the private and public health sectors with their requirements as we should do. That is our mandate. We import most of our raw materials. We need the imported raw materials to increase capacity utilisation in order to produce at low cost and increase employment levels. ND: What capacity are we looking at? EM: At high capacity utilisation of more than 80%, we will be able not only to reduce the cost or prices of medicines, but also to increase employment levels significantly, if not double our current employment levels. One very important point which, unfortunately, is sometimes overlooked is that for every dollar spent on importing medicines, we are able to save more than 60 cents (60%) because of significant value addition locally. The country will, therefore, significantly save scarce foreign currency and improve medicines supply through increased allocations to the local pharmaceutical manufacturing companies. This promotes efficient utilisation of the scarce foreign currency and in the process increase the supply of medicines. It has also been proven from research done in South Africa by DTI (Department of Trade aide Industries) that for every job created in the pharmaceutical manufacturing industry, seven other jobs are created in other supporting industries. This enhances the value chain concept. Other local industries that include packaging, engineering, construction, ITC, laboratory instruments services and consumables, sugar, research, transport and other services, just to mention a few, also benefit from increased demand from the local pharmaceutical manufacturing industry. Local production improves medicines security of supply which is of national security importance. We are a knowledge-driven industry that thrives on innovation, employ highly qualified science graduates and contribute significantly to scientific development. The capacity to generate foreign currency from exports is huge from the Sadc market. More than 75% of the medicines consumed in Sadc are imported. The Sadc pharmaceutical market is worth more than $6 billion. 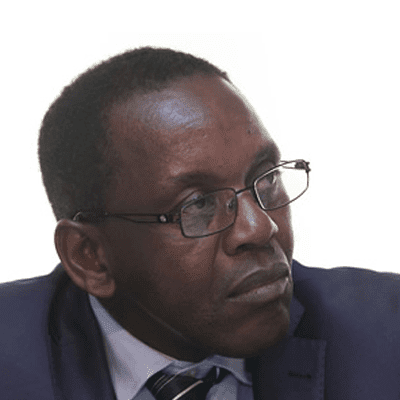 ND: How can the pharmaceutical sector in Zimbabwe enhance its capacity? EM: Zimbabwe is one of the few countries in Sadc with a pharmaceutical manufacturing industry worth mentioning, second only to South Africa. However, to enhance its capacity and make significant contribution to public health, employment, economic and scientific development and exports, we need sufficient and consistent foreign currency allocations. For a start, we are only asking for $2 million per month. ND: How much, in terms of outstanding invoices, are you sitting on as pharmaceutical manufacturers? EM: Outstanding invoices to local pharmaceutical manufacturing companies is in excess of $12 million, which is a backlog of more than six months. The problem is also the fact that the allocation of foreign currency is intermittent and not regular to ensure sustainability and reliable medicines production. One, therefore, cannot know with certainty how much and when they are going to receive their next foreign currency allocations, no matter how small that allocation is. It is, therefore, difficult to plan and take mitigatory measures under these circumstances. ND: How much are you getting from the central bank against your monthly requirements? EM: Our monthly requirement is on average $2 million. We are getting on average 25% of that, based on the last three months’ allocations. This varies from month to month. Some months it is more, in others less.